Well, we’re a husband and wife team! 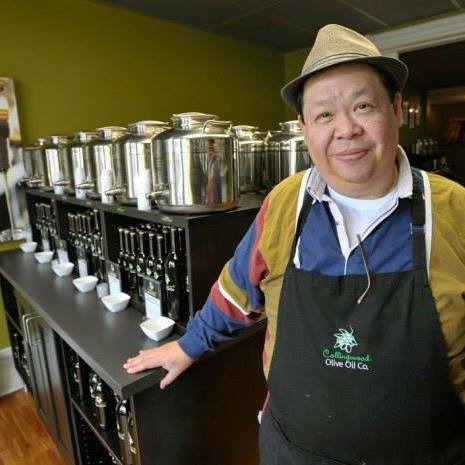 After renovating a quaint heritage home in a beautiful location, my husband (Alex Yuen) and I (Cheryl McMenemy) opened the doors of The Collingwood Olive Oil Company in May 2014. Collingwood Olive Oil sources the freshest extra virgin olive oils from around the world, along with a selection of natural balsamic vinegars. We really pride ourselves on providing an exceptional experience for every customer. Shoppers can taste everything before they take it home, and we train our staff to the highest standards with remarkable product knowledge. Because of this we’ve won plenty of awards, including Small Business Owners of the Year, Innovative Business of the Year, Metroland Reader’s Choice: Favorite New Business, and #1 Retail Shopping in Collingwood on TripAdvisor. We both prefer a small town feel, and are passionate foodies. When we first arrived in Collingwood, we took delight in the high number of independently-owned cafés and restaurants using local ingredients. 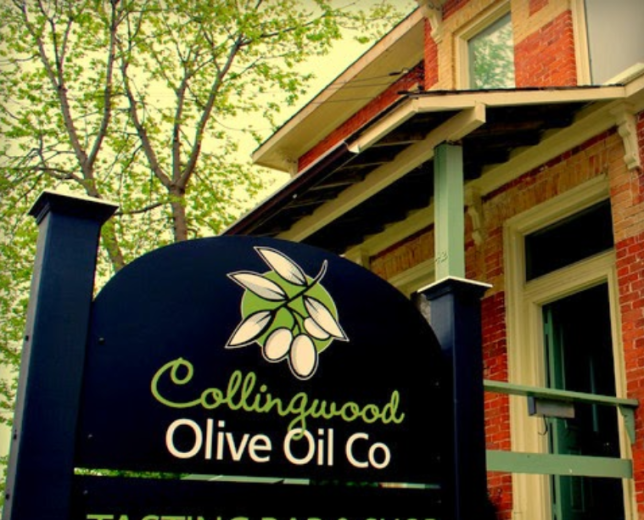 Upon seeing this fast-growing food movement, we thought Collingwood Olive Oil would be a perfect fit for this community. We support many local charities and give back to local groups too. And we’ve loved every minute here. The lifestyle is hard to match! Vend was recommended to us by a friend with a similar business. We can’t say enough about it! We were amazed by the ease of set-up and we didn’t have to ask for any support, although we knew it was only a click away. Alex loves the colour coded Quick Keys and the organization of screens. And I love the reporting functionality and customer loyalty tracking. What would have taken several software systems to accomplish a few years ago, Vend has integrated into one user-friendly package! We’d definitely recommend Vend. Not only is it an effective point-of-sale system, it serves as a member of our marketing team. Alex and I both have longstanding business careers, but neither of us had prior experience in retail. The entire process has been a bit of a learning curve from stock management, to cash flow and store displays. Our advice would be not to look for staff similar to yourself, but for individuals with strengths where you have weaknesses. It’s the sum of all parts that completes a team! We love it when regular customers visit with family and friends. A customer physically bringing in another customer certainly trumps word-of-mouth, plus we never get tired of having a reluctant spouse pulled into the shop, only to have them leave a convert and a complete fan! The post Vender of the Week: Collingwood Olive Oil appeared first on Vend Retail Blog.